I'm coming for you !! 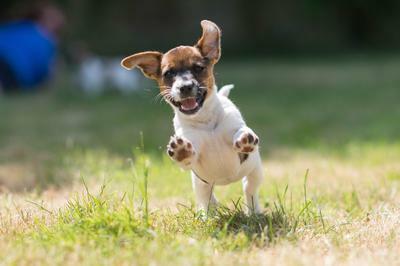 What a fabulous photo, it captures the pups joy of Her first experience outside so well! What a stunning photo. The photographer has captured the essence of the dog and its zest for life!